Relax and listen to this Flower of Life Meditation to fill your every cell with golden light, raise your vibration and instantly wash away lower emotions, stress, and fear-based energies. In this session, the Council of Light guides you to connect with your personal circle of golden light … And to the awakened human heart grid represented by the Flower of Life. You will help anchor the Golden and White Rays to the Earth… And experience the blissful vibrations as the crystalline plasma light unites your chakras, balances your energies and connects you with the divine oneness energy of all that is. As you help surround Gaia with a crystalline flower of life you will realign with your highest level of Divine authenticity too. Available as an .MP3 Audio Meditation, on YouTube or this channeling with the Council of Light has been transcribed for you below. If you enjoy this meditation … Please share! Let's together hold the field of love, light and anchor love, peace and balance around the planet! At this time, I ask that we be surrounded with light, that each of our teams of guides, angels, and ascended masters who can most serve, according to Divine will for the highest and greatest good, enter into this time and space. Connect with us as individuals and together as one. Support us in entering inward, in quieting our minds and entering into our hearts to tune in to your love, guidance, direct frequency, and whatever will most serve now. And so, it is. Greetings from the Council of Light. Indeed, we are present here and now. We invite you to begin to relax, and from an inward focused place of being, tune in to our presence through your subtle inner senses. Tune in to our message and the frequency, light, and love we broadcast at this time. Now get comfortable, breathe, and let go. Enter inward and relax, as you begin to imagine and tune in to golden plasma light that, like liquid, begins to fill the room or space you are in. This golden liquid light flows in all around your feet and, indeed, into every cell. And within and around your feet, tune in to the golden crystalline light that begins to rise, filling your space in this present point in time. As this light streams in through the great central sun, through your sun, moon, and planet, it flows into your present point in time, covering your feet, filling the space like liquid light, and flowing up along your legs to cover your knees and all around. As the level of light continues to rise, a warm, tingling, high vibrational energy, which relaxes and reconnects you with the infinite, flows into your thighs and hips, filling your legs, pelvic area and even the room you are in. And like water rising, this liquid light continues to flow up into your abdomen, your solar plexus, and your heart. The liquid light flows into your fingers, wrists and arms, your elbows, shoulders and neck. It flows into and all around your high heart and chest. Experience the light filling your physical body, raising your rate of vibration, and relaxing you at a profoundly deep level. Feel the light within and now tune in to the vast flow of liquid golden light all around, as it continues to rise up through your throat, jaw, and ears, up into your head, filling your mind, your eyes, your third eye and crown, filling your hair and your entire head with the golden crystalline light. Tune in to this brightly shining light at the center of your mind, as it fills every cell, raising your vibration from within, soothing, calming, and uplifting. And now, tune in to the light all around you, which is above your head, extending out in every direction. Feel the light behind you and illuminating you all around, completely immersing you in this liquid crystalline light. And now, as the level of light raises exponentially, imagine you are being lifted up into it, into a special place outside of time, within a circle of masters, your team of soul family, guides, and loved ones beyond the veil. This team of masters guides and support you with their full divinity and light intact. We, the Council of Light, join this circle as well. In this moment, your guides hold hands and are immersed in this golden crystalline plasma light. Feel your hands light up, and as you join in, the link of this circle is complete. And at the center of this vast circle, you become aware of a spiral of white light, the white light of divine purity, flowing with serenity and peace in a clockwise direction from your left hand, around and into your right. As you remain in this circle, now become aware of the many other awakened human beings on the planet, each in their own circle of light, of mastery, reunited with their guides and their divinity. Notice that each of your circles overlap, uniting with one another to create first a vesica piscis, and next, a triad, then a seed of life, and a flower of life. This flower of life, your circle, is a small but integral part in this divine geometric form, spanning out far and wide to encompass the entire earth. So imagine Gaia earth with the flower of life imprinted on her surface—the golden outline and the white light of purity within. Now imagine this flower of life expanding, as it elevates in vibration and extends out beyond into the cosmos, across the solar system and the Milky Way galaxy. 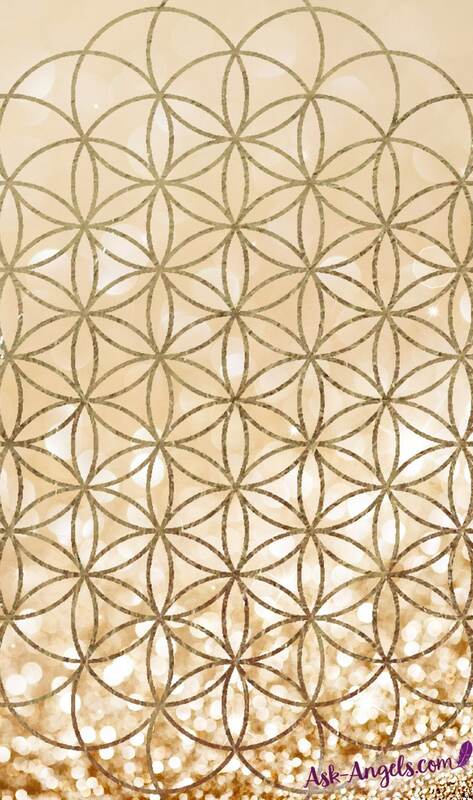 You may envision the sun with this same flower of life pattern around it. And from the earth to the sun to the great central sun with this flower of life geometry, you are now connected to the golden arc, allowing you, as a divine being, to receive the light codes, awakened frequency, and activation directly from source through the great central sun. You are, in a sense, revealing more of your authentic divine nature, as you link through this golden arc—the sacred geometric bridge with the highest levels of light and divine authenticity available for you to embody. You may now imagine yourself as an individual standing upon the earth, your arms outstretched as you are bathed in a waterfall. And a beam of plasma golden crystalline light raises your vibration, flowing up and arcing out. Indeed, you are standing in the midst of a funnel, reaching up and out to receive all that is available to you as a divine human, an ascending being, and a divine spiritual being in physical form. Now claim your empowerment and your true divine sovereign nature to refill your light quotient, renew your vitality, and directly reconnect with the infinite source light you are a part of that flows throughout the divine geometry of creation through the primordial sound of all. At this time, become aware of your heart glowing with this golden plasma light, expanding out beyond your physical body and your aura to fuel your light body and reconnect you with the fullness of your light as a spiritual being. Let your heart expand as you relax and remain focused within. 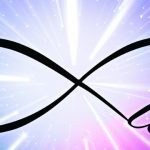 Bask in this frequency that flows all around you and in the infinite love, purity, harmony, and possibility, as you are transformed through your expansion and direct reconnection with the infinite source light. The golden plasma crystalline light continues to flow all around you, supercharging your vibration and revitalizing you on every level. Become aware of the new level of light you carry within by focusing on the light, space, and vastness within you. Breathe and expand into it. Open up to the magnificence and miracle of your inner light being. And now, tune in to the light, the crystalline consciousness, and the vastness of void and space all around you. Focus on this space, which extends out infinitely from this present point in time and feel your connection and oneness with this vastness you are a part of. Feel the light, the liquid light of the Divine all around and within you and become aware once more of yourself in the circle with your team and guides of light. As you serve as an anchor of the higher vibration on earth and a light being, call forth the paradigm of peace and joy and awakened creativity. 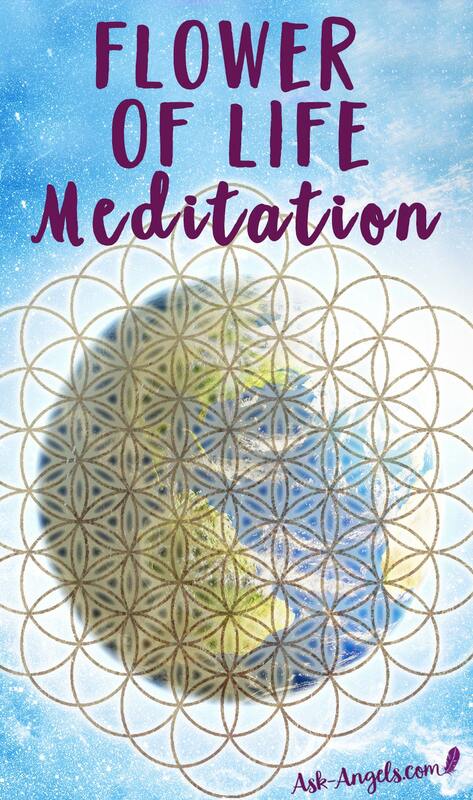 Become aware of your circle and the vast flower of life you are creating, which now clicks into place around the earth and links into the crystalline grid. So around the planet, the light of the crystalline grid, the light of the awakened earth, the new earth and paradigm, the peace and joy, positivity and opportunity are made manifest, are accessed and revealed. Open your heart and let love, joy, and vibrant energy flow forth towards all who make up this human heart grid, this flower of divine life. And as you freely share your love, gratitude, and light, the codes of awakening and ascension frequencies you have integrated and shine forth, you then receive the blessing of this transmission multiplied. For your willingness to share and serve with love opens the doors to your heart even wider, and you now receive the fullness of love, possibility, and harmony. Feel how vast you really are as a divine being awakening to a new level in the physical, restoring the possibility for this earthly realm to transform in the most beautiful way. Now with light all around and within you, plant your feet squarely on the ground, anchoring this light of divine purity, the white and golden rays into your present point in time to bring these ascended streams of consciousness into your awareness through meditation, not only in this moment but in every moment. So when you enter into your heart, you can access this vastness and pure potentiality of your true power as a divine being in spiritual form. And with this newly reconnected level of your light through the white and golden rays of the crystalline plasma light, we encourage and remind you that your inspiration, your divine creativity, and your presence will continue to be your guide. Return to presence and inner stillness, radiantly shining your light. Through this, the next step and the way before you into the next level, new opportunity and possibility become available. Keep your heart open, shine your radiant light, and when you are ready, return your awareness to your physical body, completely replenished, new, blessed, and realigned. Know that you have done powerful work, and yet the path of your highest divine authenticity is simply the beginning. Inspiration leads to your next step on the pathway of infinite possibility into the full realignment of mind, body, spirit, and emotions. The highest level of your divine light will bring your full spiritual power into the physical, one present moment at a time, as a continued joy that creates a powerful ripple of crystalline consciousness throughout all. As we step back, we flow a final surge of frequency and blessing your way. Open your heart and let it in. And so, it is. Hi Tracey… You can just click the play button! Or there is a video version on the page if that’s easier. Such an amazing and beautifully powerful experience. I feel so light filled with an open heart of love, trust, belief, and joy. I bask in the oneness that prevails. Thank you for sharing your incredible gift with the world, Melanie. I so needed and benefitted from this today! So happy to hear you enjoyed this message, Michele… Love and blessings flowing back your way multiplied!